Did you know your co-workers and managers might be judging you by how tidy or messy your workspace is? According a recent study by Adecco, most workers use tidiness as a factor in how they view colleagues. And it’s no surprise, because, as it turns out, organisation and an uncluttered workspace help you work better and boost productivity and efficiency! 1. Begin with a Purge: Face it, there are probably many things on your desk that do not need to be there. Begin right by throwing out useless items and putting in drawers anything else you don’t need on a daily basis. 2. Find a Home for Everything: Everything should have a place to call “home.” In other words, designate a spot for each item, so that after using it, it goes back in its dependable place. This way, you always know where it is. 3. Label It: A good label maker will help with file folders, drawers, and bulk storage that you might need to access in the future. This will boost productivity by saving you time searching through things to determine if you are even searching in the right place. 4. Develop a Pipeline: This can take the form of a stack of bins or shelves or whatever. But every time you touch a project that will require follow-up, make a note with a date on it and place it in a chronological series. Check your series every day to see what needs following up on that day! 5. Archive: This applies to both digital and printed documents. When it’s been more than a month since you last needed a document, archive it. You may never need it again. 6. Streamline Work Zone: This is the place you are most active during the day. Keep only what is needed for daily routines within reach, so you have what you need when you need it, and nothing in the way of maximum productivity. 7. 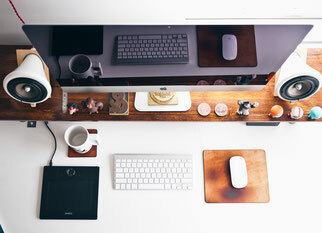 Tidy Up Daily: The secret to a tidy work space is constant maintenance. After each day, put each item in its “home” and make sure all documents are either in your pipeline or filed appropriately. A tidy workspace will brighten up your day, make your job that much more joyful, and what’s more, boost your productivity and impress those around you! Are you looking for something special for your colleagues or clients? 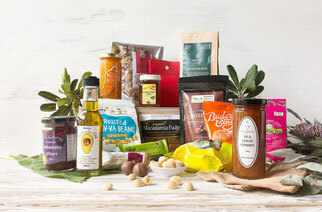 like D'licious Gourmet Hampers. Visit our website to see how we can help you.